2. You can easily slide them before you as you walk. 3. 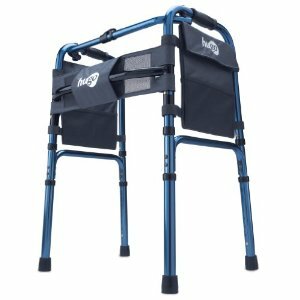 They are usually made of aluminum with high tensile strength, so even if it is light, it can still support users up to 250 pounds. 4. You maintain your independence. 5. You can adjust the height to your convenience. 6. They feature single button control for quick opening and folding. 7. The handgrips are made of foam. Most of these walkers are offered with lifetime warranty on the frame. Which are better? Walker without wheels or Walker with wheels? What Is Allergic Rhinitis or Hay Fever? Are you on GOOGLE PLUS too?